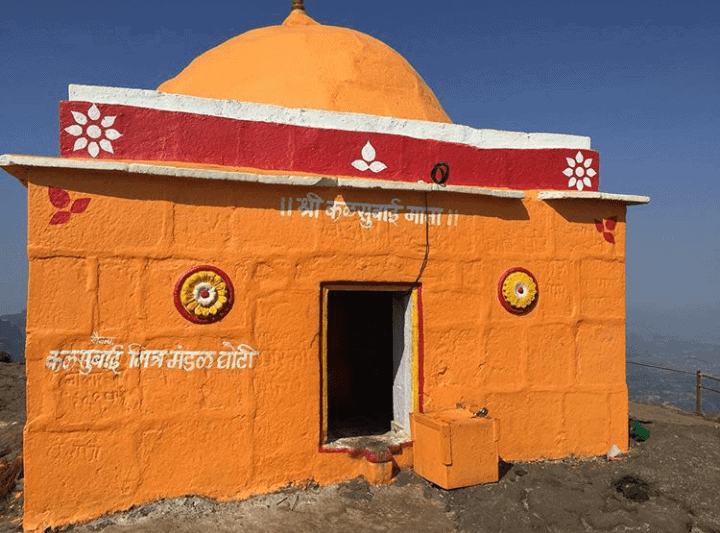 KALSUBAI – ‘THE EVEREST OF MAHARASHTRA’. Kalsubai is Maharashtra’s highest peak. Standing at a staggering height of 5400 ft. above sea level; it offers stunning views of the Sahyadri ranges and lush green cover surrounding the mountain. Kalsubai is one of the most popular trekking destinations in Maharashtra. The trek is steep in places but is helped immensely by the good infrastructure in place for the trek, making it accessible for inexperienced trekkers as well. The mountain itself dates back to the Cenozoic Era, composed mostly of solidified flood basalt. Kalsubai is a great spot for star gazers and campers as well. Nestled amongst the pristine Sahyadri ranges, the Kalsubai trek is a blend of rocky patches and steep vertical hill slopes. The peak gives an excellent view of various forts such as Kulang, Madan, Alang forts. We recommend this place as a one-day trek, but incase an overnight journey is being planned, one can stay at Bhandardara which is approx 16-17 km away from Bari Village. If you are feeling a bit more adventurous, pitch your tent on top of the hill at a suitable place to camp. There are many travel agencies which conduct trek events at this place. But since the route is pretty straightforward and well laid-out, going without a guide or group is not much of an issue. -The mountain is named after a goddess called Kalsu who is a local deity. Many pilgrims visit the temple at the top of the mountain which has been constructed in her memory. 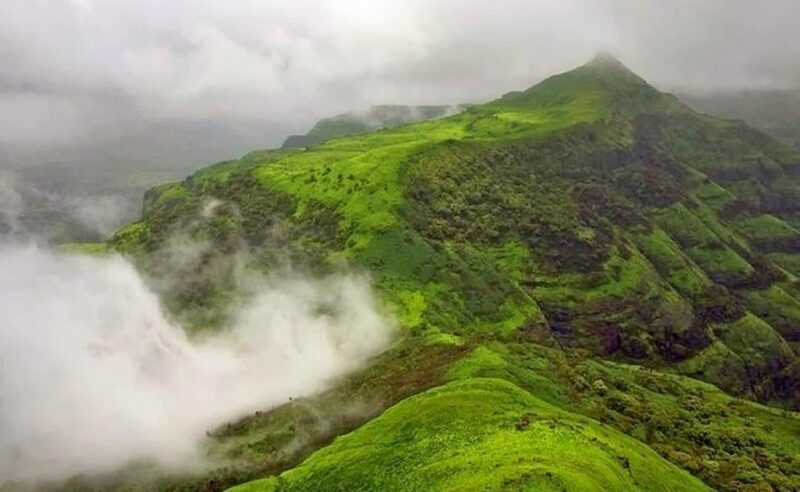 -The fun-filled trek route consisting of meadows, flowers and streams and the sense of achievement attained after climbing this peak; makes it one of the most sought after treks in Maharashtra. As the monsoon showers begin, a gorgeous landscape filled with cascades and greenery spreads around the mountain. Expect floating clouds to accompany you in cool, misty weather, making trekking a delightful experience. The months from July to September are suitable to enjoy the highlights of the monsoon season. 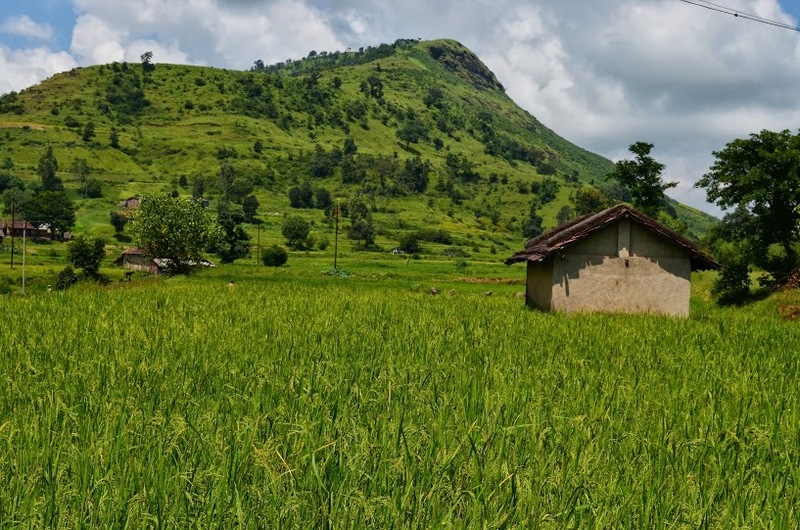 -There is a dramatic change in the landscape at Kalsubai after the monsoons as the flowers of different varieties blossom and attract various species of drangon flies, bees and butterflies that are attracted to their sweet nectar. In the winters, snakes and lizards can be spotted sun-bathing near the ladders often. 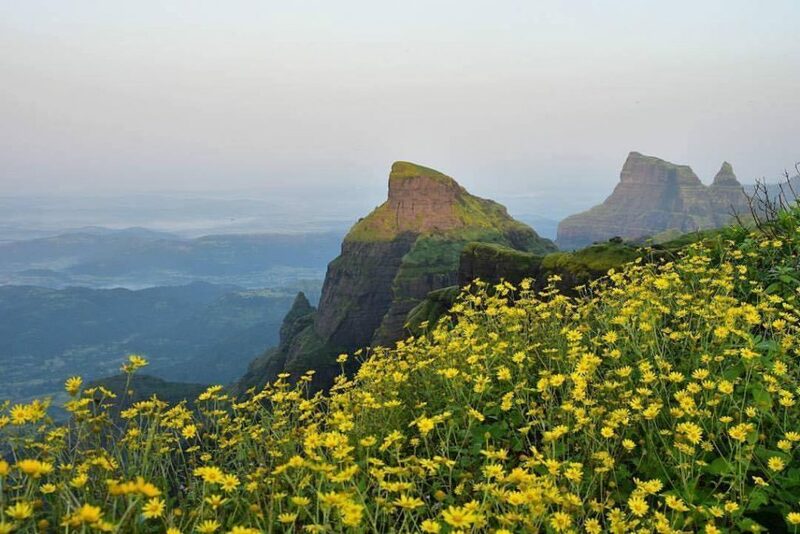 – The meadows bursting with flowers in bloom make for a splendid day trek-route and activities such as stargazing and Moonlight treks attract a large number of travelers to Kalsubai in the Winter. The months from October to February are suitable to enjoy the mesmerizing view of the night skies and beautiful sunrises atop the hill. Both Vagabond Experiences and Ajay Singh from the Adventures Club Pune recommend the night trekking experience while climbing Kalsubai peak. – Located at a distance of approx 150 KM from Mumbai, it takes 2-3 hours to reach the village of Bari, which is the base of the trek. From a convenience point of view, it is highly recommended to take the road instead of the train. -The best route from Mumbai to Kalsubai is: Mumbai > Kalyan >Ghatgar>Bhandardara> Bari. -Located at a distance of 180 KM from Pune , it takes 4-5 hours to reach Bari village. -The best route from Pune to Kalsubai is : Pune >Sangamner ->Rajur>Bhandardara> Bari. – Kasara and Igatpuri are the closest stations to Bari village. 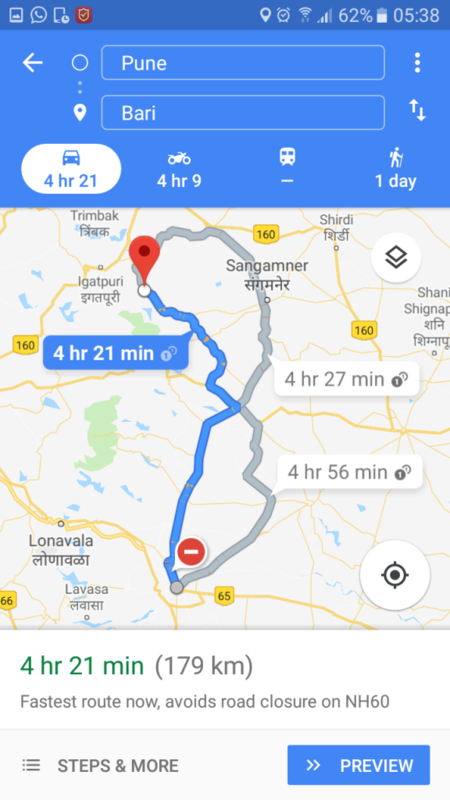 While Kasara is 50 KM away from Bari, Igatpuri is approximately 30 KM away from Bari. -One can either board trains such as the Mahanagri Express, Nandigram Express train, Kolkata Mail, Howrah Mail from CST to Igatpuri or take a Local train to Kasara. 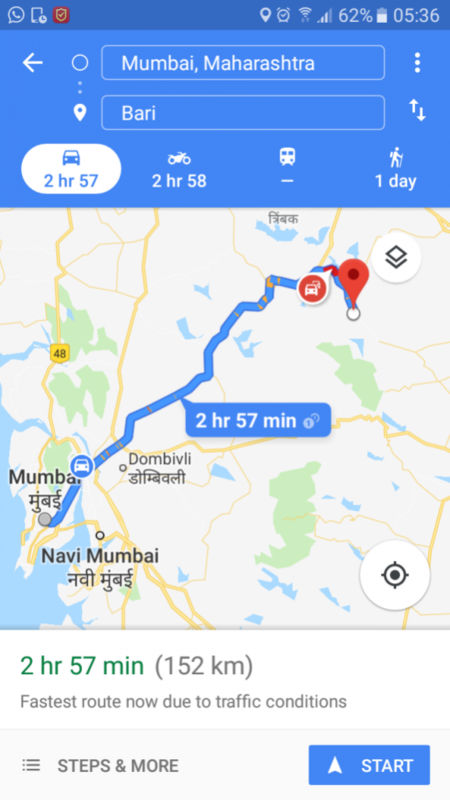 – Both Igatpuri and Kasara Station have private vehicles and buses regularly plying to Bhandardara, Pune and Akole; all of which stop by Bari. The buses start as early as 5am from Igatpuri Station. TIME REQUIRED FOR TREK : 5-6 hours. 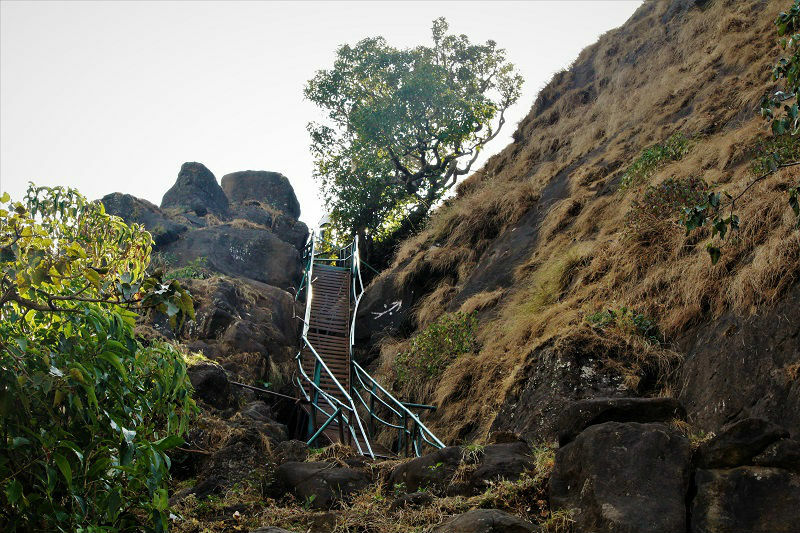 -Although a long trek, there are stairs which continue till the top of the peak. The metal ladder which is in good condition has been placed in rough patches which might be difficult to climb. Thus,making it quite accessible to beginner trekkers. A part of the Kalsubai Harishchandragad Wildlife sanctuary, the place is protected within its’ boundaries. Open high-altitude forests surround the mountain. The trek route begins at Bari, which is the base village. There is a small temple which is 15 minutes away from the start of the trek route. 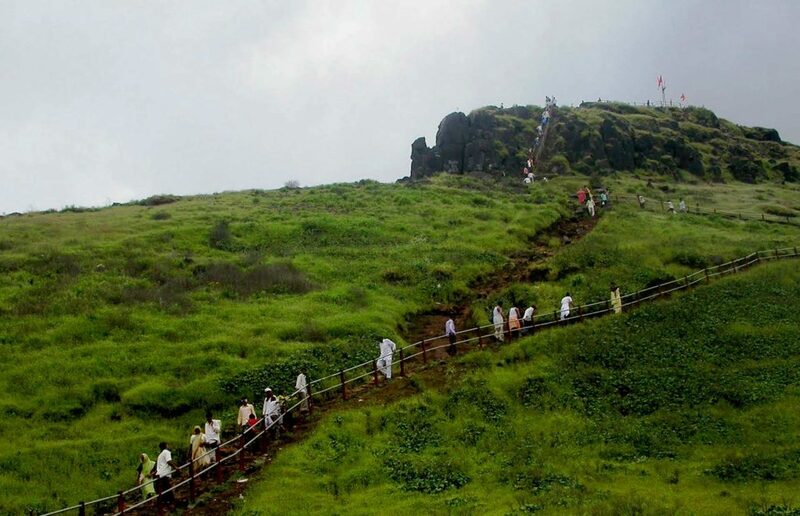 People who can’t climb up till the peak take the blessings of the deity at this Kalsubai temple. There are patches of shade at frequent intervals which can be used to rest and enjoy the breeze which gushes through the mountain route often. A word of advice though – opt for a night trek (especially in Summer) or begin the journey as early as possible in the morning; as the scorching heat tends to dehydrate and tire the trekkers on what is a long trek route to the peak. Fortunately, there are little stalls serving buttermilk and lemon juice at various places on the route, which leave one feeling refreshed and energized. Camping at the peak is possible and a very enjoyable experience. If you are planning an overnight camp, you can carry your own tents and pitch them at a suitable corner on the summit. 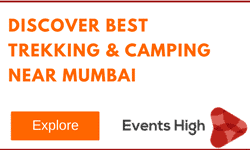 Typically, you will find clusters of tents at and around the peak during peak seasons. Do note though, that there is no washroom facility or toilet at the top of the mountain. There is a washroom located only at the base village to freshen up. Nights at the top of the mountain can get quite chilly and so carrying a jacket or blanket to wrap yourself with warmth is quite a must. While the temperature during the day ranges from 35°C to 28°C, it can dip as low as 12°C to 15°C at night. Shoes: Many people are seen undertaking a trek in flaoters etc. This will increase the risk of slipping significantly, especially during monsoons. We strongly recommend basic hiking or (trail) running shoes. Dry Snacks like biscuits, wafers or nutty bars. -The rocky patches and metal staircases often get slippery during monsoons and thus, some caution should be exercised while trekking. Invest in a sturdy pair of shoes with good grip! – Take along a basic first-aid kit to help in case of injuries or emergencies. -The nearest police station is located at a distance of just 160 m from Bari village.